Range Building – What Did They Open-Raise Preflop? You already know that hand reading is important. It’s the skill of putting your opponent on a correct range of hands – and when done correctly it becomes a million times easier to figure out when you should bluff, value bet thinner, and how to size your bets. And since poker is a game that is played in a linear fashion (you can’t get to the flop without preflop action, and you can’t get to the river without turn action) it becomes vital that you improve your skill at putting players on correct preflop ranges. When you know what they open-raise with preflop you have a clear idea of the hands they can show up with on the flop, turn, and river. So I made this mini-training video to give some questions to to ask when assigning a preflop range when your opponent opens. Either watch the video or scroll down below and read the complete guide along with tips! What’s the worst pocket pair they would open? Players who prefer to open-limp small pairs rather than raise them. The good news is that both of those player types are very easy to spot – so as a default you can assume your opponent has all pairs in their open-raising ranges. What’s the worst broadway hand they would open? After you are done with pocket pairs, start building the range of broadway hands they would open. I consider this to be any hand with two broadway cards (so AT-JT, AJ-QJ-, AQ-KQ, and AK). Now, you can pretty much always expect players to at least have AK in their opening range – and often times things like AQ, KQ, and AJ are in there as well. Exceptions can be made for very tight players or players who raise very tight from EP in full-ring games – but think about width and frequencies. If a player is open-raising 22+/AQ+/KQ/AJs that only comes out to about 10% of hands. So if you think a player is opening about 20% of the time when they have the opportunity (and BTW, for you online players you’d use the stat RFI to confirm this), then you know they are certainly opening wider than the range listed above. In which can you would either a.) continue adding more broadway hands or b.) move on to suited connectors. If a player opens ALL pairs and ALL broadway hands, they would have an 18% open-raising range. This means they would open-raise about 1 out of every 5 opportunities they get. What’s the worst suited connector they would open? If a player opens very tightly, chances are they don’t open any suited connectors. Since if a player wouldn’t even open AQ or 66 there is almost no chance they would decide to open 87s. But, if a player is opening all pairs and opening a lot of broadway hands, these are the next logical choices for hands to open. Tight players don’t begin open-raising suited connectors until middle-late position, and but looser players may decide to open these from everywhere. If you’ve seen a player open-raise a hand like A5s or Q9s, you can be very confident that they also open-raise suited connectors from that same position. If you think a player opens all pairs, all broadways, and all suited connectors…that means you think they open about 20% of hands (or 1 in 5). But what if a player is opening more often? Then you start adding hands around the cusp. So hands like A9 and K9s would get added first, then big suited gappers like J9s and Q9s, all the way until you get down to things like A2, K8o, and 96s. So of course, if someone were opening every other hand…they’d be even WIDER than this…and you’d have a great idea what that range looked like. Once you know what your opponent open-raises, it becomes much easier to 3bet them, call them wider, and put them on better ranges postflop. For instance, if a player would NOT open-raise AT preflop, we don’t have to worry about them having two pair when the board comes A74-T. When certain hands are removed from their range it can massively limit the number of monster combos in their range which can give you the green-light to run more bluffs or get a bit stickier if need be. 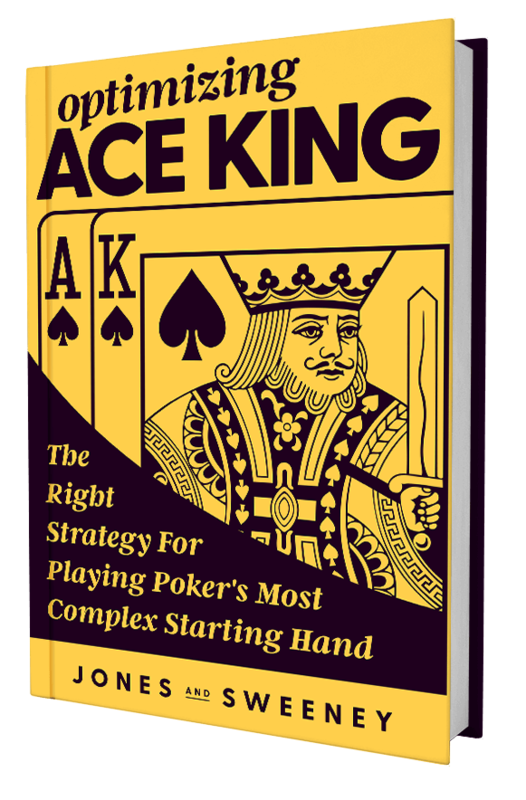 Of course, hand reading open-raises is only half the battle as you still need to hand read postflop (and other preflop actions), and I cover all of that in my comprehensive course: The Hand Reading Lab. But if you just want to get your feet wet with hand reading, start with my free email course and improve your hand reading skills in the next week. It’s a skill that’s complex at first, but once you grasp it – it makes the rest of your poker career a TON more profitable!